Since the 1990s, female artists have led the contemporary art world in the creation of art depicting female adolescence, producing challenging, critically debated, and avidly collected artworks that are driving the current and momentous shift in the perception of women in art. Girls! Girls! Girls! 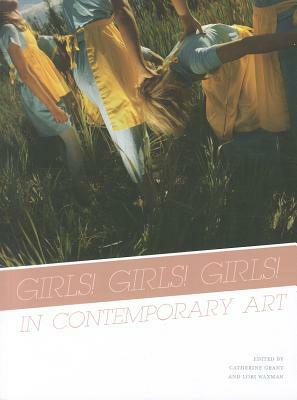 presents essays from established and up-and-coming scholars who address a variety of themes, including narcissism, nostalgia, postfeminism, and fantasy with the goal of approaching the overarching question of why female artists are turning in such numbers to the subject of girls—and what these artistic explorations signify. Artists discussed include Anna Gaskell, Marlene McCarty, Sue de Beer, Miwa Yanagi, Eija-Liisa Ahtila, Collier Schorr, and more. Contributors include Lucy Soutter, Harriet Riches, Maud Lavin, Taru Elfving, Kate Random Love, and Carol Mavor. Lori Waxman is an instructor at the School of the Art Institute of Chicago. Catherine Grant is a visiting lecturer at the Courtauld Institute of Art and Goldsmiths College, University of London.